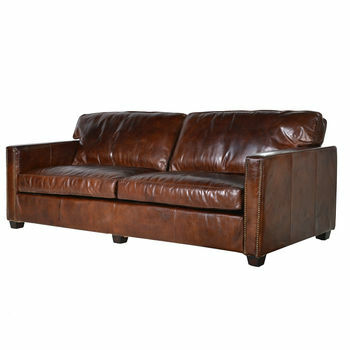 Our Manhattan range combines elegant, contemporary styling with opulent vintage leather. Works equally well in a contemporary or more neutrally styled room.Built with a strong hardwood frame, eight-way hand tied springs and a combination of foamfibre and duckdown fillings. 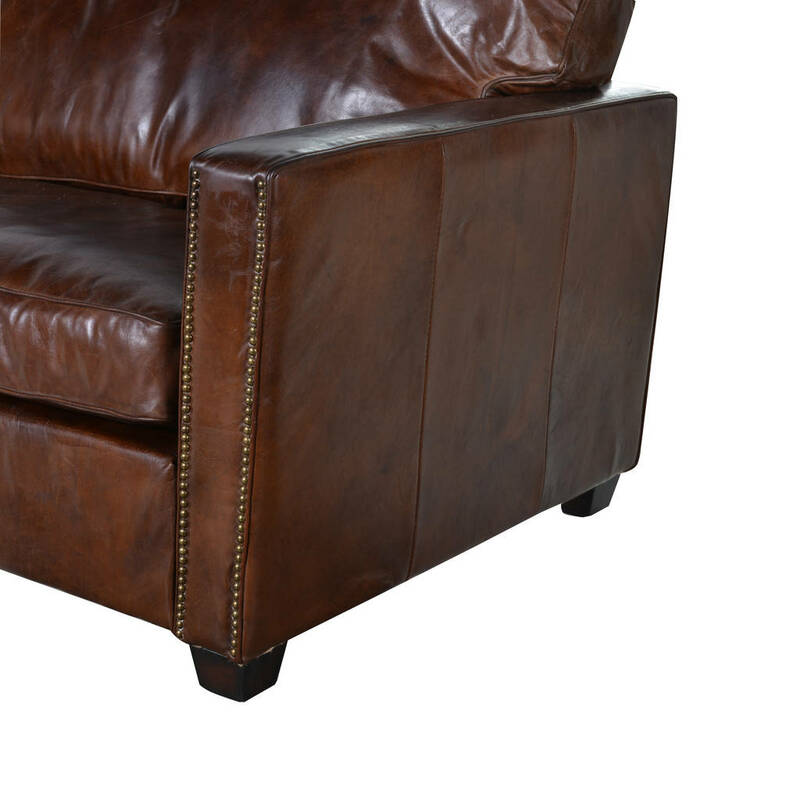 All lends to an extremely comfortable seat with a lived-in look.Periodic care of the leather (via use of a good brand of leather care wax/cream) is recommended to retain the condition.